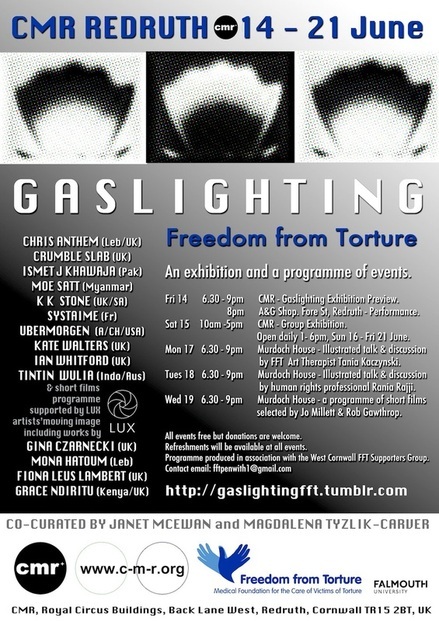 GASLIGHTING Programme 14 - 21 June. Illustrated talk with Tania Kaczynski, FFT Art Therapist. Illustrated talk with Rania El Rajji, human rights professional. All events are free, though donations will be welcome. Refreshments will be available at all events.